FREE! 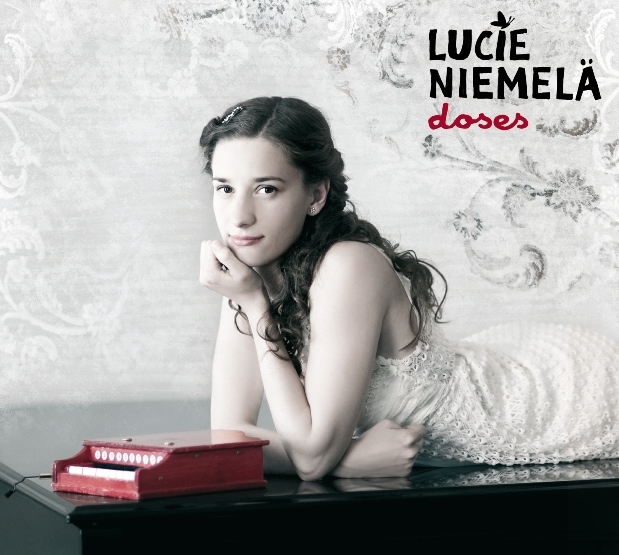 Magazine has a great interview with Lucie Niemelä, a Czech musician located in Finland who is about to release on the 16th of March her debul album Doses. Do not miss this interesting reading for all of you who want to discover new artists as well as for young artists aspiring to make their dreams come true! Thanks for attending us Lucie! Could you explain us a bit when started to passion for music and how was the process to put together this debut album Doses? I started composing when I was eleven and I played and sang every day but just for myself. I put over 150 of my songs into a drawer. Then I came to Finland and met amazing musicians. I even studied at a conservatory for one year but then I quit and didn’t write any songs for two years because I thought I was not good enough. I chose the easier way of getting an academic job. Fortunately step by step I found the courage and started performing here and there again. Then in late 2010 it suddenly hit me: my music was good enough, I had a lot to say and I was meant to do this. I recorded a demo and sent it out to Finland and Germany and six months later I was in the studio! The result is now in my hands, on the internet, on the radio… So basically the journey to Doses happened once I arranged in my head who I really was. You are Czech with Finnish surname, and living in Finland now. Can you tell more about your history and how you ended up in Helsinki? I was born in the Czech Republic and lived a calm life until I decided to learn Finnish when I was fifteen. That happened after I heard Janne Ahonen on tv say “hyvää huomenta”. I won a grant to go to a Finnish language course in Jyväskylä in 2001, that was my lucky year that changed everything. Since then I kept coming back to Finland, then I met a Finnish guy and fell in love… I moved to Jyväskylä in 2004, three years later to Helsinki. What are the most difficult and easy things in your opinion for making it happen to release a first album? I suppose to see your ideas and hard work materialized in a CD is already fulfilling but were also things that could happen to be much harder than you thought beforehand? For me the most difficult thing was to choose the right mic to record my voice  Of course there were lots of time and money management issues but I don’t think about them anymore. Everything worked out perfectly. I have seen that in some other interview you said that the album is overall about emotions. Have you poured a lot of personal own experiences or real experiences based on people you knew in your album? The 12 songs on Doses are all about people that I’ve known or about my own experiences. These songs were written over the period of 12 years and they contemplate fates of teenagers and young grown-ups as well as middle-aged and elderly people. I really wanted the album to be for everyone, regardless of age, and I feel I’ve achieved that. How would you briefly resume the album to a person who has never heard any of your songs about what they can expect when pushing the play button on their CD player? It’s a romantic and slightly melancholic album full of contrasts: heart-wrenching ballads (Miners) meet joyful rock songs (Doses) and then there are a few uplifting songs to balance it all (Seconds Fly Like Feathers). The main thread of the album is receiving and giving doses of different emotions. Some of the songs carry a harsh message but we managed to preserve the empathy and hope. The album sounds warm and soothing but at the same time awakes thoughts. In Finland on the other hand, people try often to avoid showing too many emotions in public. How do you find this environment, for a person who considers emotions so important? I feel the Finnish society is changing, though. People are loosening up, opening up for doses of emotions. Nowadays it’s much more ok to start crying or laughing out loud in the public without having people around you feeling extremely uncomfortable. During my concerts I can see that people are hungry for emotions. Some people seem to be thankful that I dare put my heart on my palm, some seem to be scared and some look like they don’t know what to think of me because I take an emotion and sing it into their faces. That’s why I love singing live! Your album will be released by a German label and will get distribution in different countries in Europe. Was it more difficult to reach the Finnish record companies for being a foreign artist here in Finland? I don’t know if it’s because I’m foreign or because my songs are in English and the genre is not metal Songs in Finnish are more likely to succeed. Finland is full of talented musicians and it’s a small market so the competition is fierce. I don’t mind my album is released in Germany first but I’m hoping to get a good distributor in Finland as well. Apart from this being your first released album, you also collaborate with other projects and bands, right? At the moment, I collaborate with Jaakko Laitinen & Väärä Raha. I sang on their first record. Their second album is about to be released. I co-wrote a few songs and I’m featuring in one. The release party will be on 17th March in Gloria as the part of Balkan Fever. I will be singing a few songs with them in the Culture tram as well. I can’t wait, they’re great guys. Are there other musicians or artists you feel inspiration from? I don’t consciously draw inspiration from other artists but I’ve certainly been influenced at least by these: the Beatles, Queen, Sting, David Bowie, Stevie Wonder, Lauryn Hill, Erykah Badu, Beady Belle, Torun Eriksen … just to name a few. 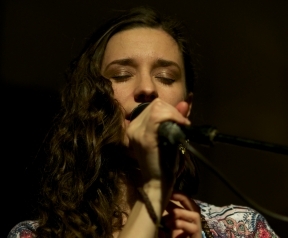 What do you do apart from your musical career? Are you also studying or working? Other hobbies and passions? I graduated from University of Helsinki in late 2009, majoring in Finnish language and culture. I worked in CIMO for a year and now I’m pursuing my music career only. Music used to be my hobby and now that it’s become my job I don’t even have time for hobbies… I go swimming and jogging, I do yoga, I love reading and writing. My most important hobby, though, is philosophizing about life with my friends. Listening to each other and helping each other out, that’s the best way how to spend our free time. What are your future plans for the rest of 2012? Anything you want to add for the readers? My goal is to get as many concerts as I can. A tour in the Czech Republic is definitely coming up and a tour to Germany is planned for autumn. And for the readers: a big melodious dose of love!